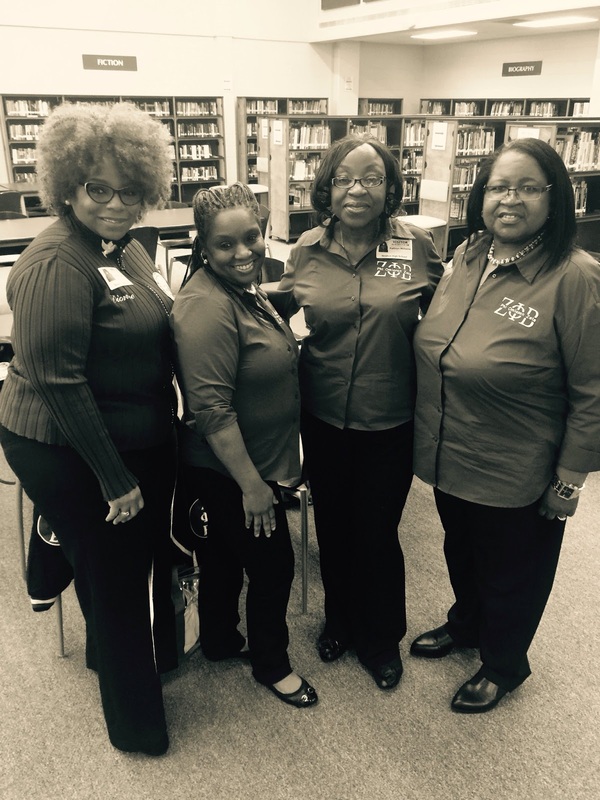 In honor of Black History Month, Phi Omicron Zeta Chapter celebrated it with Newton County High School and Veterans Memorial Middle School in Covington, Georgia. 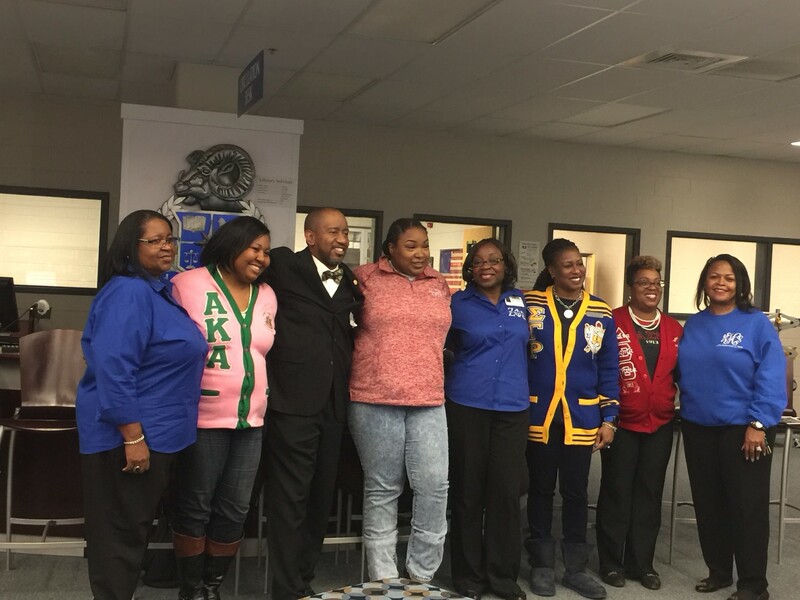 At Newton High School, Phi Omicron Zeta Chapter was part of the NPHC Panel Discussion for the juniors and seniors. During 1st, 2nd, 3rd and 4th periods Phi Omicron Zeta was given five minutes each period to present information about their organization and experience as part of the sorority. After each session, there was a question and answer with the students. In attendance were eight hundred juniors and seniors. Phi Omicron Zeta Chapter had the pleasure of stepping in Veterans Memorial Middle School's College Awareness Greek Step Show. There was a brief synopsis of the history followed by a seven-minute step and two strolls from the Finer Women of POZ. 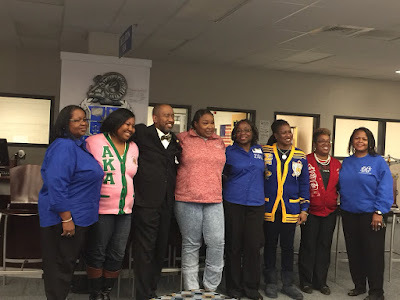 Other members of The Divine Nine whom were present included: Phi Beta Sigma, Omega Psi Phi, Alpha Kappa Alpha, Delta Sigma Theta, Alpha Phi Alpha and Sigma Gamma Rho. 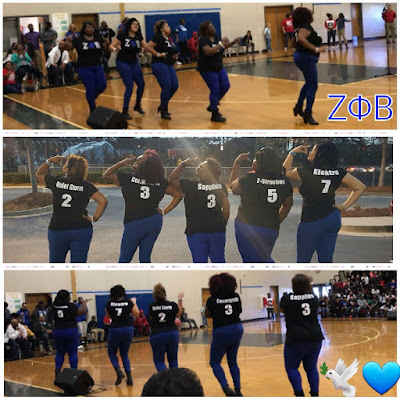 The purpose of this step show was to shed some light upon Black History Month as well as encouraging the students of VMMS to attend college while magnifying some of the great benefits of continuing your education, such as becoming part of a sorority or fraternity. The step show was a great success, and very popular amongst the students. Therefore, administrators have decided to make this an annual event during the month of February.